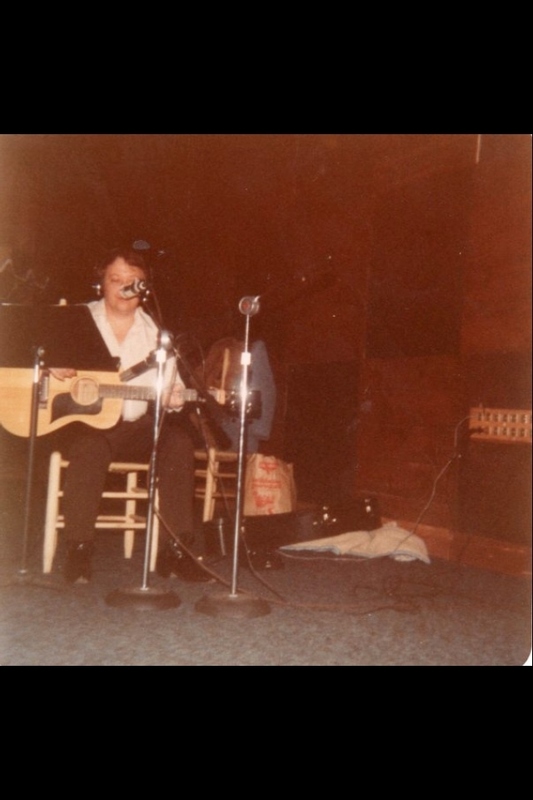 Back in the early 70’s, fresh home from two tours of combat duty in Viet Nam, my dad decided he’d get back into the music business and wanted to make a professional recording of some of his songs in an effort to land some local gigs in Memphis. This may have been the first time he’d ever ventured into the recording side of things, as much of his experience playing music had taken place on the road and on the bandstand. I think it’s safe to say that Dad was excited about the possibilities, as I’m sure his day-job was driving him nuts and music had always brought him joy. So, he looked around town and found this cat named B.B. Cunningham who agreed to record a demo for him and the session was booked in a studio called, Stairway. He had a notebook full of wonderful songs he’d been working on, including this great little country number called, Please Daddy, Please…a tune about a man struggling with alcoholism where I sang the chorus with him (a child’s voice is always a nice touch). We’d been rehearsing this song together at home and it was sounding pretty good, so he brought me along with him in hopes that we’d get that one down, as well. To be honest, I really don’t remember much about that day…I was only three or four at the time… this would’ve been 1971 or ’72 but I’m pretty sure I was there with him because the one thing Dad remembers is the studio folks taking a liking to me. He even laughs when telling the story of how B.B. Cunningham & Knox Phillips both joked with him afterward, saying they thought I had a good little voice. Funny. Well…about a month ago, my good friend, Joe Restivo called me from Memphis, saying he’d just been on a recording session in a studio where they’d found an old dusty 1/4″ reel of tape at the bottom of a closet with “George Sluppick” written on the front of it (but no other info at all) and they wanted to know if Dad had the same name as me. One of the engineers there, Adam Woodard, was in possession of it and wanted to talk with me about what might possibly be on this reel. I just about dropped the dang phone! How could this be? Now Adam is a real sweet cat but told me he was super busy with session work and would give it a listen just as soon as he could. He said that if anything was on it, then he would get me a copy of it right away but that I would need to be patient. Mind you, this is a virtue that doesn’t come easy for most Sluppicks, as we’re not known for having a great deal of patience and given the possible contents of this long lost reel… Well, let me just say that the poor guy suffered through a barrage of emails, phone calls, Facebook messages and texts from yours truly, fussin’ & cussin’ up a storm but he remained cool through it all and although I nearly lost my mind waiting, I somehow managed to keep it together, as I knew the end result would be sweet. It took more than a month to get a digital copy of the master transferred and the process wasn’t easy for him, as the tape itself was more than 40 years old and required some gentle handling. Analog tape has a shelf life of roughly 30 years and tends to break down if it’s in storage any longer than that, so if you are getting nervous just reading this, then imagine how I felt. Yes, it was stressful! However, once the work was finished, they uploaded the entire file to a website with a nice letter to me, telling the story of how the leader tape (which is the nonmagnetic plastic tape that you see at the beginning and end of the tape, that acts as a protector) accidentally broke during play-back, which was frightening to hear but he assured me that everything on the original tape survived. The only bad news was that, Please Daddy, Please was nowhere to be found and after speaking with Dad about it, he said that I had the story a little bit wrong and that that particular tune had been cut in an entirely different session and there’s no recording of it anywhere. The good news of course, was that now we have an entire session of Big George, all by himself to enjoy forever…roughly 25 minutes worth. I have to tell y’all it was rather emotional as I sat there listening to my then 25-year old father singing his heart out, sometimes a little flat, with a slightly out-of-tune acoustic guitar, and some shaky rhythm. But I’ve never heard a more honest and true performance from anyone. As an added bonus, I’d also never heard most of the tunes and was taken by surprise at the diversity in his songwriting. You can clearly hear his influences, ranging from country to blues to folk to some straight-up rock-n-roll. I remember when we would play shows together, many years after this recording and the set list always included a little something for everyone. But that’s just the kind of guy he is. And that’s the story. Pretty unbelievable, right? My gal and I edited everything, titled all the songs and put a nice little homemade CD booklet together for Dad and the rest of the family. I’ve been getting phone calls and letters from everyone, telling me how touched they were and that it’s an amazing stroke of luck that some analog tape survived at the bottom of a closet for 40 years. I am grateful. 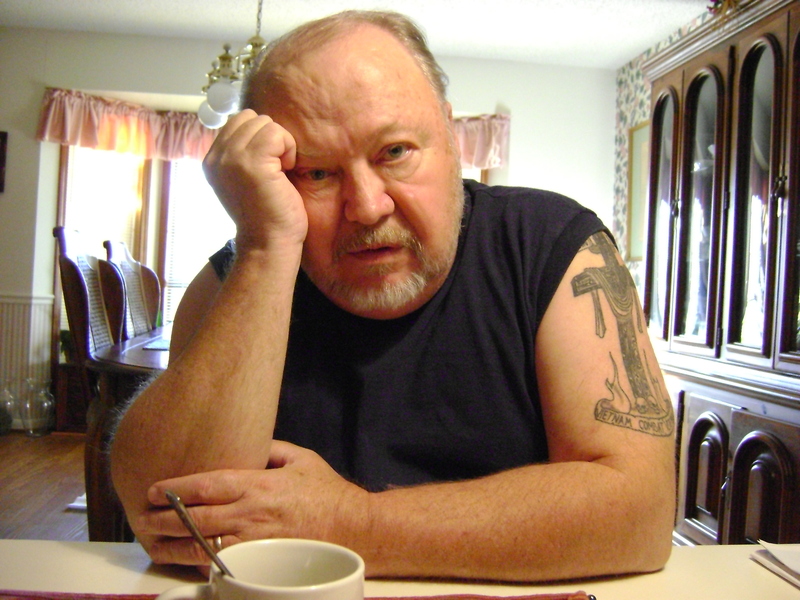 Dad, at home in Natchitoches, LA. Life can be really beautiful.